Free Swimming Pool Leak Detection! Have us repair your swimming pool leak and we will apply the leak detection fee directly to the repair! We’re a local Austin pool leak detection and repair service, specializing in commercial and residential swimming pool leak detection. Buying a new home and need the pool inspected? We offer a pre-buyer swimming pool inspection which has saved our customers thousands. Commercial or residential leaks, crack repair, grout removal and replacement, underground PVC repair, and pool shell leveling. We’re an established Austin swimming pool leak detection and repair service, specializing in commercial and residential swimming pool leak detection. For more than 10 years, we’ve been saving Austin swimming pool owners thousands of dollars by preventing costly major repairs. We offer Free Swimming Pool Leak Detection as long as you have us also complete the repair. Learn more about our Professional Swimming Pool Leak Services. Austin Pro Leak uses materials and equipment designed to repair the leak better than new. We repair pool leaks of any type including Grout Removal and Replacement, Under Ground PVC Repair, Crack Repair, and Pool Shell Leveling. Learn about our Swimming Pool Leak Repair. A full leak detection combined with a test of the equipment and its construction will allow the home buyer to have a 3D view of the pool they are purchasing. This service has saved our customers thousands of dollars. 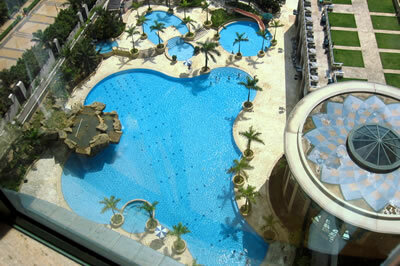 Learn more about Swimming Pool Inspection. We offer swimming pool leak detection and repair to all of Central Texas including Austin, Round Rock, Cedar Park, Georgetown, Lakeway, Hutto, San Marcos, Bastrop, Oak Hill, Pflugerville, Lake Travis, Westlake, Dripping Springs, Four Points, Steiner Ranch, Manor, Manchaca, Buda, and Marble Falls. 5 Star Reviews on Google and Yelp! Our pool had been leaking for awhile, and I had been putting off the repair because I feared the cost. Austin Pro Leak gave me an upfront cost to detect the leak and for the repair. Both costs of the detection and repair were reasonable and fair. They found the leak, and a few days later were out to do the repair. Luckily the repair was in the yard, but when the repair crew left, you could hardily tell where they had done their work. I highly recommend Austin Pro Leak. This business is top notch. Will came out and methodically spent a couple hours identifying my pool leak. Turned out that all that was needed was a simple and inexpensive re-grout job where the spa spillover to the pool is located. Total cost for repair and detection was actually cheaper than just the leak detection at other companies! If you are looking for a job well done AND affordable, look no further. APL team came out and found the leak (broken pipe) within minutes. Definitely recommending them with my friends and would use them again for sure. We have had a leak in our pool for many months. We had 3 companies come out and charged us a fortune to try to fix it with no success. In 15 minutes with Austin Pro Leak, the leak was identified, and it was demonstrated to me. Don't waste time and money with their competitors, wish we used Austin Pro Leak first! A word of thanks to you and your company regarding the total remodel of our pool. It was really amazing to watch your Austin leak detection crew do the fine work they did. The work exceeded our expectations and we couldn’t be happier. In a time when high quality work, customer first service, fair pricing and timely clean and professional work is hard to find. Will and Carlos at Austin Pro Leak over preformed on my pool. I would highly recommend them and will continue to send them business. Will and his team did a great job identifying and repairing the leak. I'd use them again without hesitation. Will is personable, punctual and polite. I could not be happier with their service or the cost. I can't recommend Austin Pro Leak highly enough. 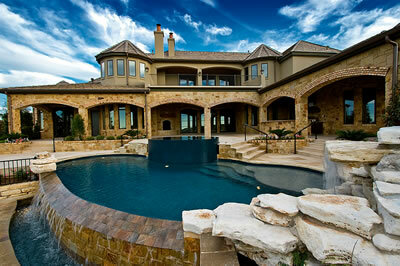 If you need your pool repaired, call Austin Pro Leak, this is a first class operation. Ron and I are extremely happy with the transformation of our pool! We thank you for a job well done! We look forward to working with you again on our next pool and calling you anytime we need awesome Austin pool leak repair. My wife found Austin Pro Leak through Google and they said they'd detect the leak free-of-charge as long as we used them for the repair. Very happy we found these guys and will be using them the next time we have any issues. Austin Pro Leak is professional, accommodating, and very polite. They found our leak very quickly, then went above and beyond to check all other areas. In addition, they explained what they were doing and how it would be fixed. Will identified the leak quickly and the repair was done quickly. Two weeks latter and the pool is holding water perfectly. Actually looking forward to opening the next water bill!